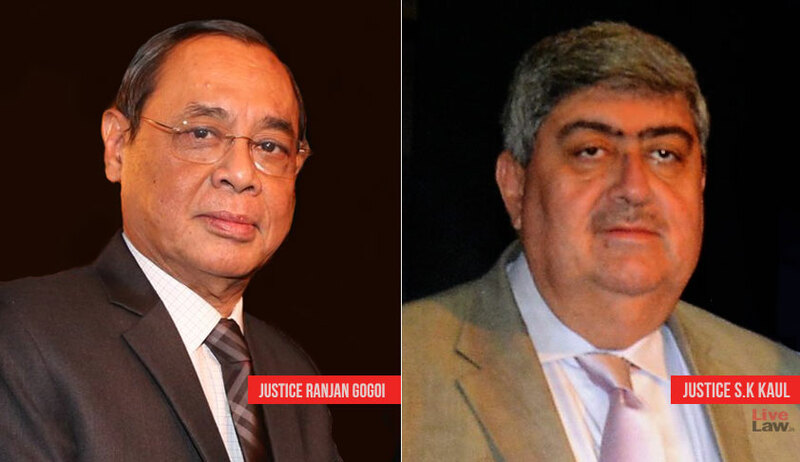 A Supreme Court bench of Chief Justice Ranjan Gogoi and Justice SK Kaul on Tuesday referred a plea, for constituting an independent mechanism for selection of Election Commissioners, for the consideration of Constitution Bench. The plea has sought a direction to Centre "to make law for ensuring a fair, just and transparent process of selection by constituting a neutral and independent collegium/ selection committee to recommend the name for the appointment of member to the Election Commission". It also sought direction to the Centre for constituting "an interim neutral and independent collegium/selection committee to recommend the names for the appointment on the vacant post of members to the Election Commission". The plea alleged that the Centre's practice in appointing the member of Election Commission was discriminatory and violative of law, which obligate executive/legislature to make law for ensuring a fair, just and transparent selection process for Election Commission. "The practice of appointing the member to the Election Commission without making law for a fair, just and transparent process of selection by constituting an independent and neutral collegium/selection committee to recommend the name, is in violation of Article 14 and 324(2) of the Constitution of India and is in vogue continuously since adoption of the Constitution," the plea said. "Under the Constitution of India, the independence and integrity of the Election Commission is of paramount importance for ensuring a free and fair election to strengthen and maintain the life of the democracy," it said, adding that in the absence of a proper law, "the independence and the integrity of the Commission is being jeopardized and thus public injury is being caused.